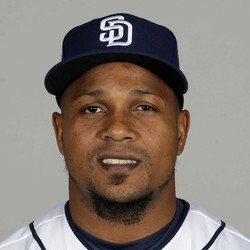 Erick Aybar had an RBI single in Sunday's 2-1 loss to the Brewers. Aybar was 1-for-3 with a walk. Thankfully the SS pool is deeper than ever, and teams don't have to look for production in guys like Aybar, who is hitting just .214 this season.